The new government of Frank Moores 1972- 1979, experienced problems of unemployment, lack of resources, lack of revenue, and continued to climb further into debt. This government relied heavily on federal transfers especially in the area of post secondary education. At this time, the federal government was also experienced great criticism because of fear of national deficit due to increasing inflation and slow economic growth. and were also looking for ways to shrink their budget. In 1976, the Canadian government signed onto the UN’s Covenant on Economic, Social, and Cultural Rights, which promised to gradually introduce free education at all levels of education. This promise failed. Prior to 1977, post secondary education was financed by a federal matching grant that matched provincial investment in the operating cost of post secondary institutions. Both provincial and federally governments were in great, therefore investments in post secondary education was not a priority at this time. In 1977, the federal government would decrease spending on post secondary education by introducing the established programs financing. These changes were a deliberate attempt to reduce federal funding to the provinces. The provincial government of Newfoundland would also reduce spending on post secondary education by spending the social transfer on other areas such as healthcare. In 1977, the government of Canada moved to the established programs financing. This new program replaced the previous matching grant program where the federal government would match an investment in social areas such as healthcare, post secondary education, and so on. The established programs financing changed the federal-provincial transfer program from three separate cost-sharing grants into one single lump-sum block grant. This new transfer program left spending up to the discretion of the provincial government. The provincial government was now free to choose which sector they wanted to prioritize. It is very clear that the Newfoundland provincial government allocated very little and spent actually even less because in a time of budget deficits, spending on post secondary education was not a priority for this government. 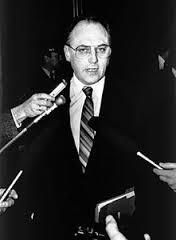 The Peckford government prioritized spending on offshore oil, the fisheries, and hydroelectric developments in order to bring revenue and pride back to the province. Newfoundland struggled with investment that did not generate direct revenue. Terry Yuk Shing Wu, “Federal Contribution to Post Secondary Education under the Established Programs Financing: Trends and Implications,” Canadian Journal of Higher Education 15, no. 1 (1985): 11-23. Terry Yuk Shing Wu, “Provincial Funding of Post Secondary Education under the Established Programs Financing,” Canadian Journal of Higher Education 15, no. 3 (1985): 40. Terry Yuk Shing Wu, “Provincial Funding of Post Secondary Education under the Established Programs Financing,” Canadian Journal of Higher Education 15, no. 3 (1985): 41. Benjamin Levin and Nancy Sullivan, “Governments and Universities,” Canadian Journal of Higher Education 18, no. 1 (1988): 2. 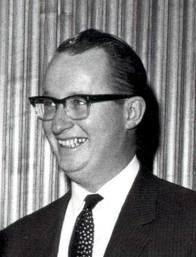 Jenny Higgins, “The Peckford Government 1979-1989,” Newfoundland and Labrador Heritage Website, last modified 2011, http://www.heritage.nf.ca/law/peckford_gov.html.